Obesity in children is a major health problem in North Carolina. 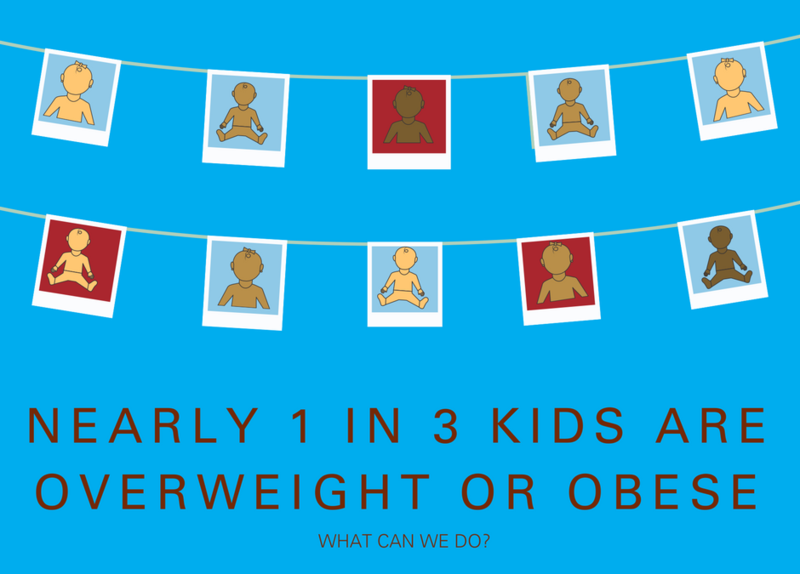 Here, nearly one in three children is overweight or obese. But childhood obesity isn’t a problem only for our state. Close to 13 million youth are obese in the United States. These children have a higher risk for heart disease, high cholesterol and high blood pressure. They are also more likely to stay obese into adulthood. Eating healthy and staying active are key to preventing health problems later in life. This can be a challenge. Unhealthy food choices and unhealthy food advertising influence kids’ behavior. And many kids live in communities where they do not have access to safe spaces to play and be active. The numbers may seem daunting, but we all have the power to make a difference. Recently, I spoke with a Blue Cross and Blue Shield of North Carolina Foundation (BCBSNC Foundation) grantee working to make a difference. Communities and schools in North Carolina are searching for ways to fight childhood obesity and build a culture of health. As a seventh-grade science teacher in Martin County, Tim Hardison created MATCH, Motivating Adolescents with Technology to Choose Health. Tim, a North Carolina native, helped almost 70 percent of his students reach a healthier body mass index. The program came to life when a local paper published a story on a 20-year-long Harvard study. It showed residents of Martin County had the shortest life expectancy in the state. With some additional research, Tim found ­­60 percent of adults in the county were overweight or obese. The diabetes rate was 87 percent above the state average. “In my science class, kids computed their BMIs. That’s when I found 58 percent were overweight or obese. I knew I couldn’t do anything about the national epidemic of childhood obesity – but I could impact the 110 kids in front of me,” Tim said. MATCH pulls wellness education into every subject. In math class, students in Tim’s program calculated their own BMIs. In English class, students wrote about what healthy eating meant to them. This helps kids to see the effects of being at a healthier weight in their own lives. Tim received a Foundation grant to support his work and to help expand MATCH. Tim’s work is part of a wealth of Healthy Living Grantmaking through the Foundation. Grants also support education programs for food and food systems, early childhood, healthy spaces and youth empowerment. The Foundation is not Tim’s only partner. MATCH proved to be so successful it has now become a part of East Carolina University (ECU) efforts to reduce childhood obesity. MATCH has expanded to more than 46 schools and has plans to be in more than 75 schools during the 2017-2018 school year. What Can You Do About Childhood Obesity? Childhood obesity has become a reality for many kids, but it doesn’t have to be. Just like with Tim, the power of one is stronger than you may think. The secret to Tim’s program? Tapping into kids’ desires to have more control of their lives. You can do this with your own kids by helping them to find new ways for them to get active and eating healthy. If they are part of the decision, they are more likely to stick with it. Help your kids find programs through community organizations like the YMCA or Parks and Recreation Department. This can keep your children active and help them to develop new hobbies and skills – and friends too! Plant a vegetable garden together to teach your kids where their food comes from. When kids help grow their own vegetables, they are more excited and willing to eat vegetables they might not usually be interested in. Lastly, find fun ways to limit kids’ screen time. The Centers for Disease Control and Prevention (CDC) recommends for children to get at least 60 minutes of physical activity each day. By staying informed and taking small steps like these, you can help slow the growing childhood obesity epidemic. It’s the power of one! For more information on childhood obesity and tips to help your child maintain a healthy weight, visit the CDC, the Let’s Move campaign or the National Association for the Education of Young Children (NAEYC). The BCBSNC Foundation is an independent, charitable foundation with the mission of improving the health and well-being of North Carolinians. Since its beginning in 2000, the Foundation has invested more than $110 million in North Carolina communities through nearly 870 grants. Jennifer Zuckerman is the Director of Strategic Partnerships at BCBSNC Foundation.